Cytotoxic Satety Cabinet is the premium solution for cytotoxic/antineoplatic drug processing, providing the highest level of patioent, pharmacist and environmental protection. 53.9" x 29.9" x 86.6"
Annual Turnover2011-12 Upto Rs. 50 Lakh. We Esquire Biotech TM is a iso 9001-2015 certified company as a manufacturer of Freezedryer, lyophilizer for food pharma industries for lab, pilot and industrial applications, probe sonicators, PADEX Model EBT-80 Paddle Blender TM for food microbial labs, biosafety cabinets etc. Our products carry ISO and CE certifications. 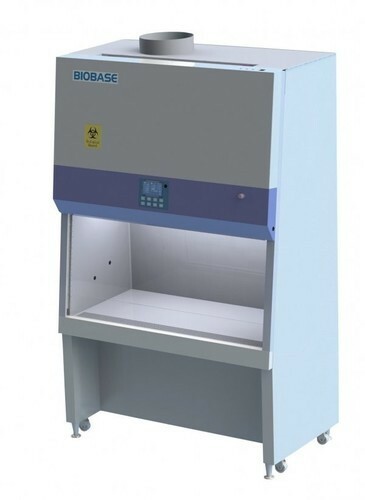 Our biosafety cabinets are manufactured according to NSF 49 compliance. Esquire Biotech, which is a small scale industries (SSI) unit. The company is recognized by Government of Tamilnadu for excellent quality products and performance. Recently we started manufacturing Freeze Dryers with Esquire Biotech organization. Our exporting countries is Europe, Middle East, Far East & Asia.